Dead Body Freezer Box are used for storing the cadaverous under low temperature cool condition in order to prevent decomposition. These products are double walled with the outer surface made of M.S. Sheet which is duly painted and inner wall made of stainless steel. 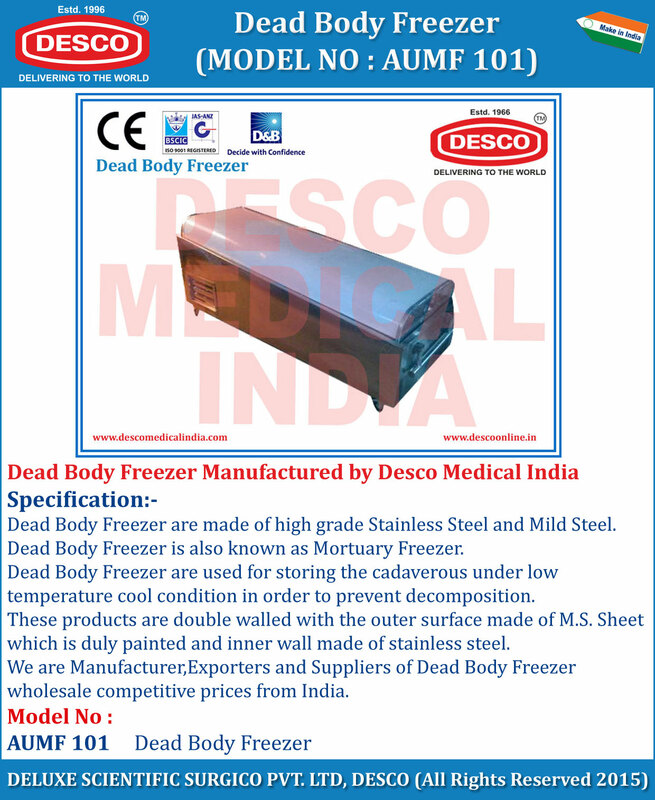 We are Manufacturer,Exporters and Suppliers of Dead Body Freezer wholesale competitive prices from India.